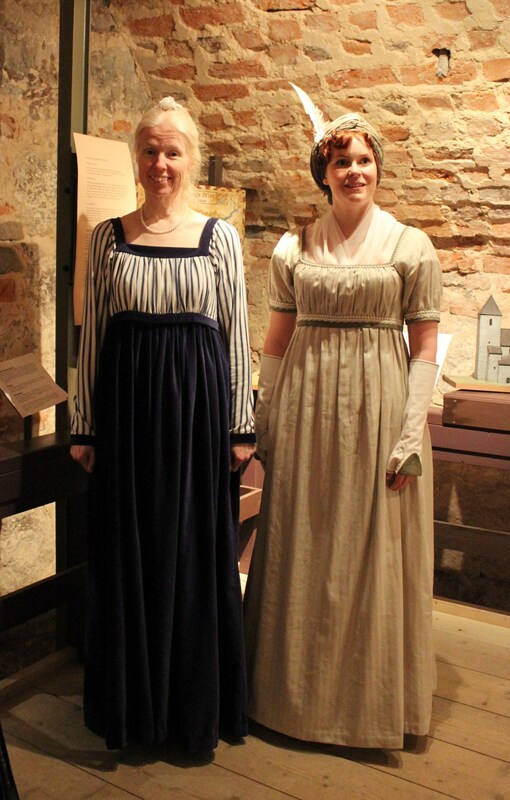 About a year ago I took on a comision from one of the ladiees in my dance companys historical dancing group. 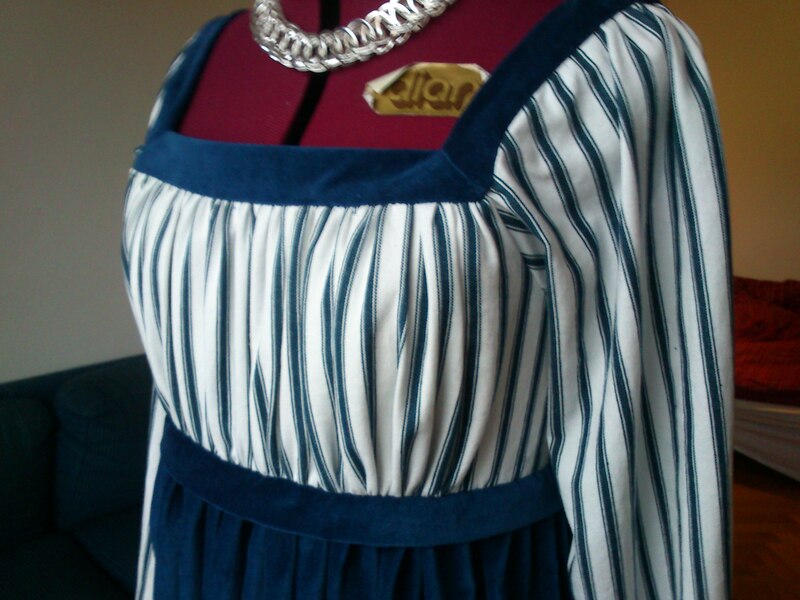 They were having a regency bal, and she wanted something nice to wear. 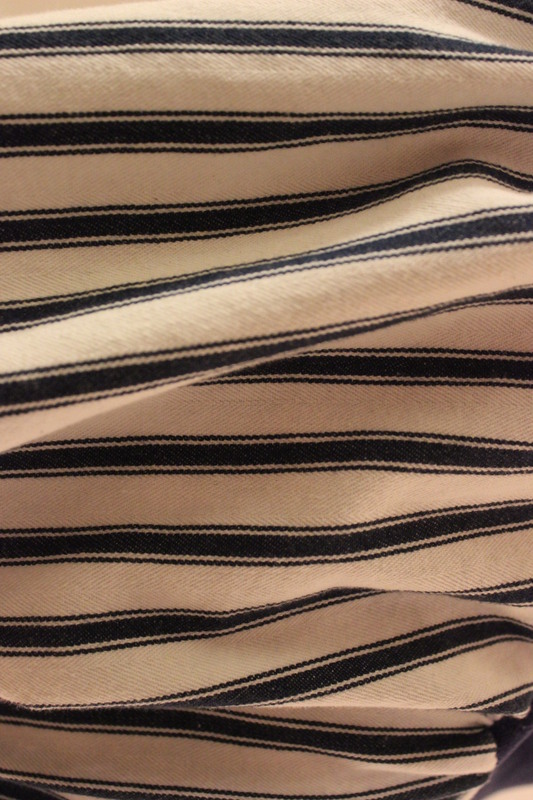 She bought a pattern and we visited a couple of fabric stores to find the perfect fabric. 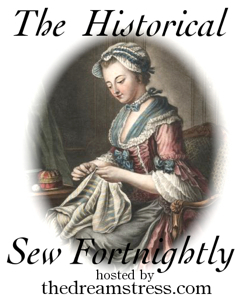 The pattern was “Reconstructing History nr 838” and called for some lightweight cotton or silk fabric. 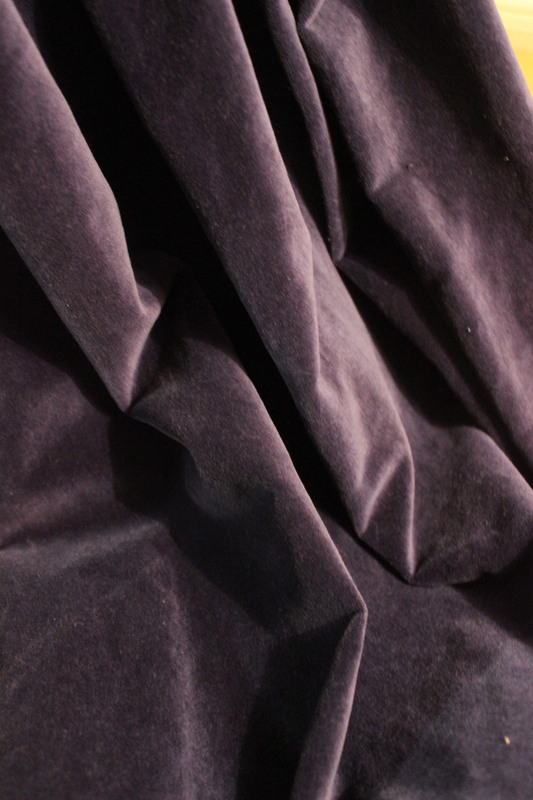 We decided to go in a different direction – mostly beacause my client wanted something darker and more sutable for her age. 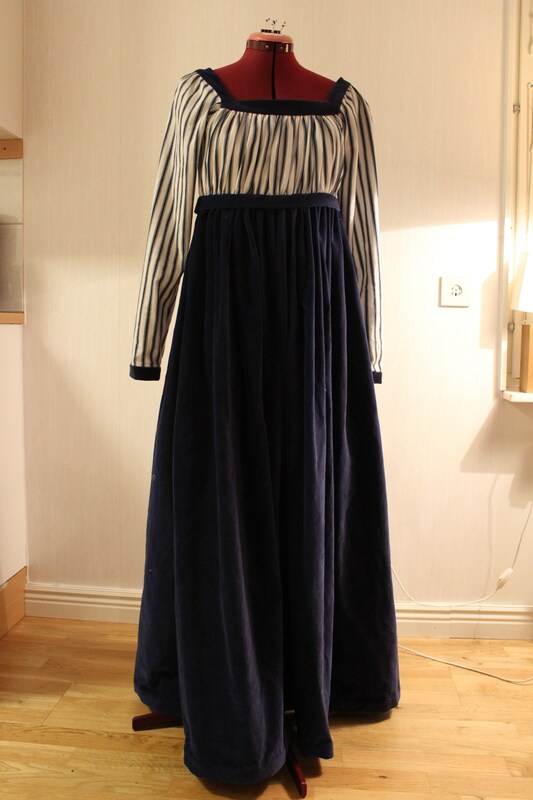 We setteled on a nice striped cotton for the bodice and a navy blue cotton velvet to usa for the skirt. I took her measurments and strated on a mock-up. 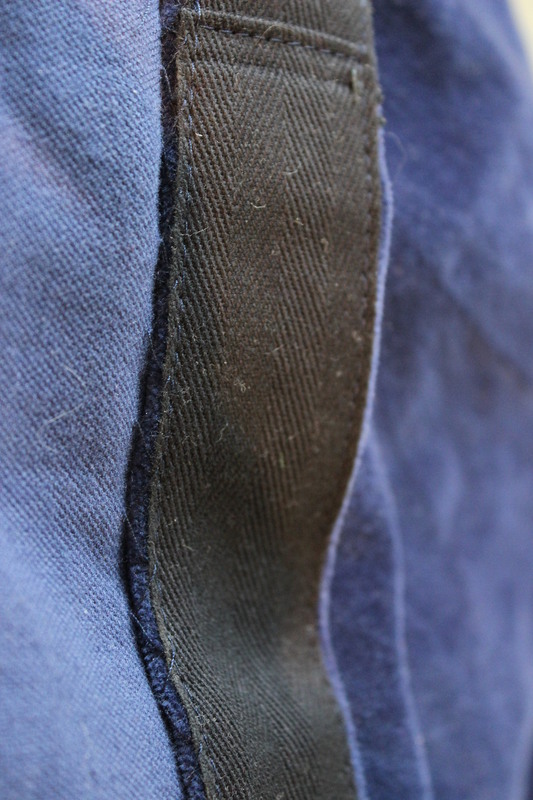 The pattern caused some problems having non-matching seams, and really strange proportions. 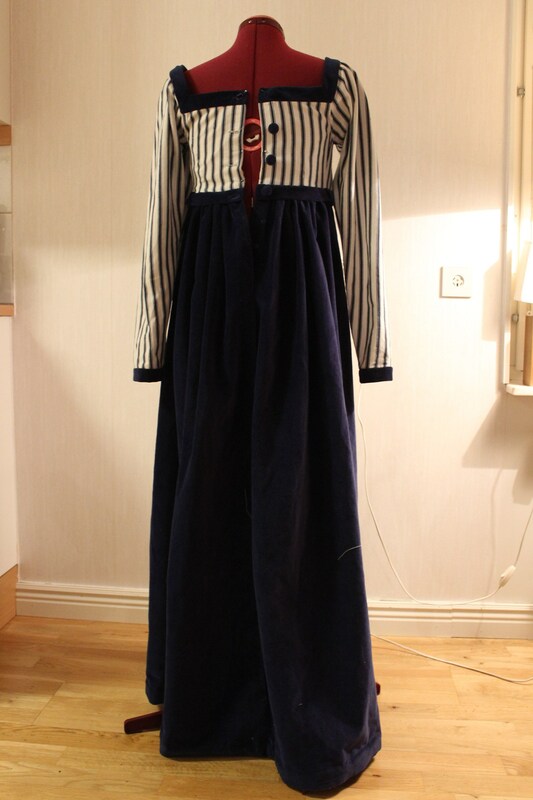 After some fideling with the pattern I manadged to produce a well fitted gown. And she was really happy with it. 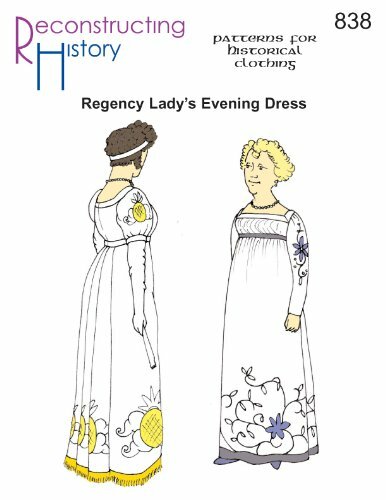 Half a year later we attended the same Regency event and I noticed the gown looked a bit large on her. So we decided to take it in, and to shorten it a bit. It took a couple of months for us to get together and take the new measurments. Then it took a few more months until I had the time to start working on it. 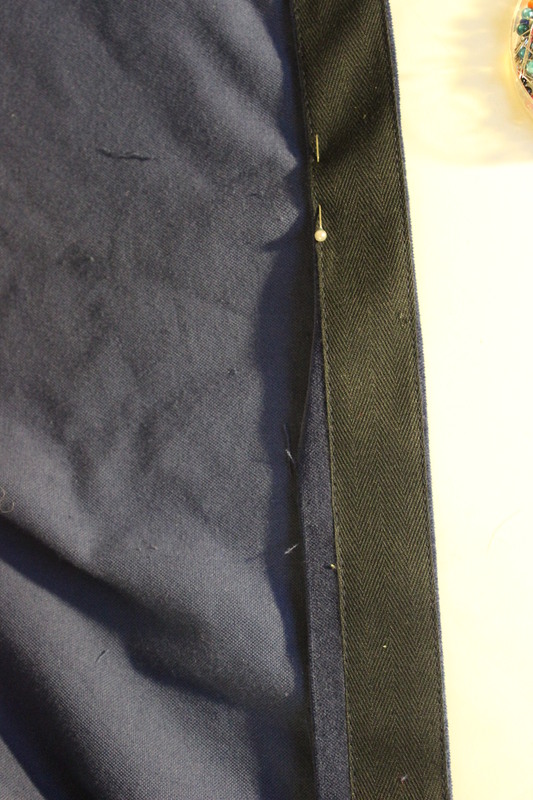 I ripped the hem out, cut the lenght, then I pressed and sewed the new hem. 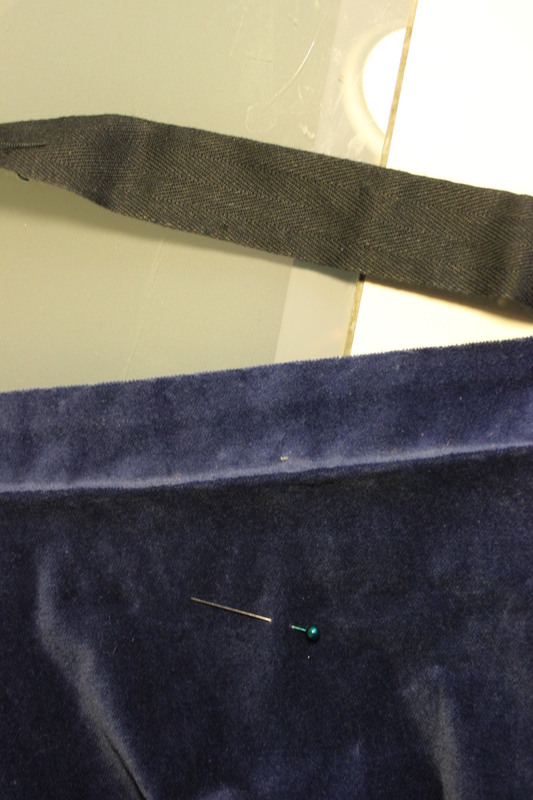 Then I started working on the bodice. This was the part I feared the most. 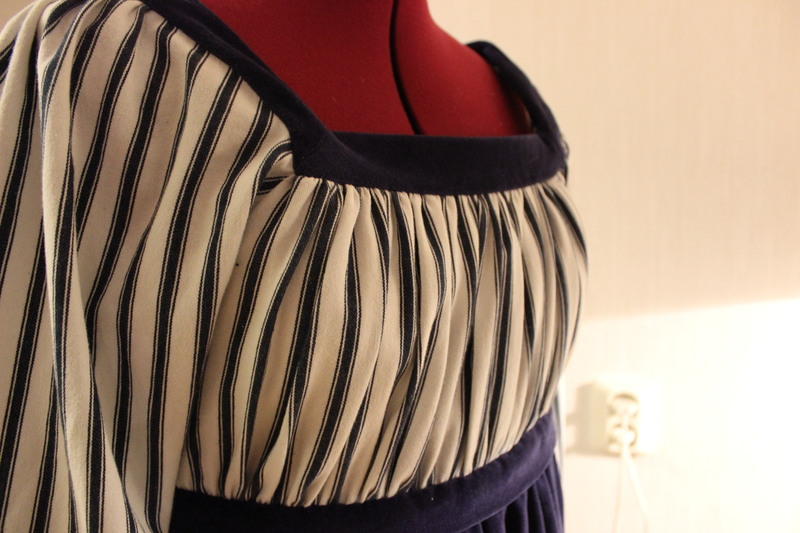 It needed to be taken in about 6 cm at the top and 10 at the underbust. A quite large amount considering there where no good places/seams to do it. 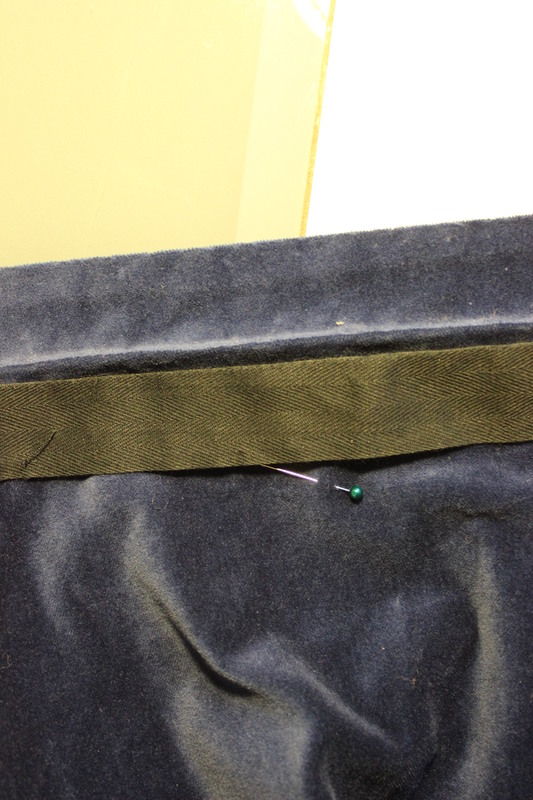 The pins makt the widht to sew in. 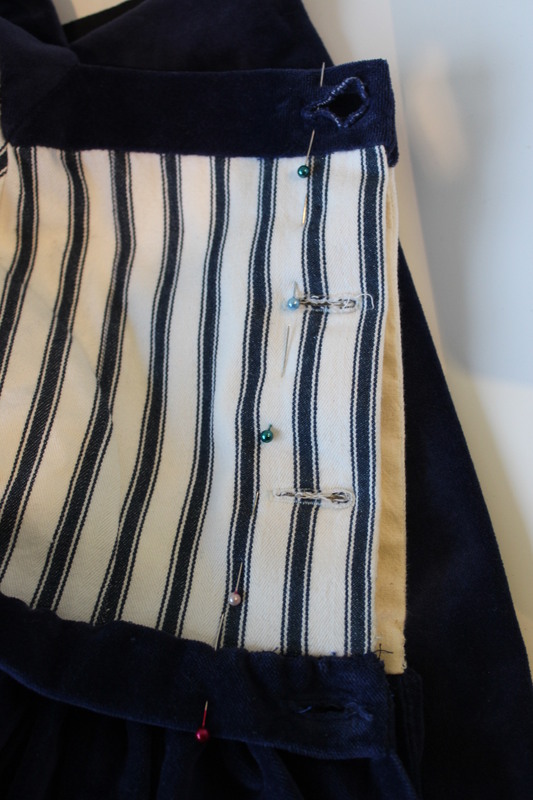 I closed my eyes and started to rip the linning out, and then taking the neccesary widht in at the waist and underarm seam. 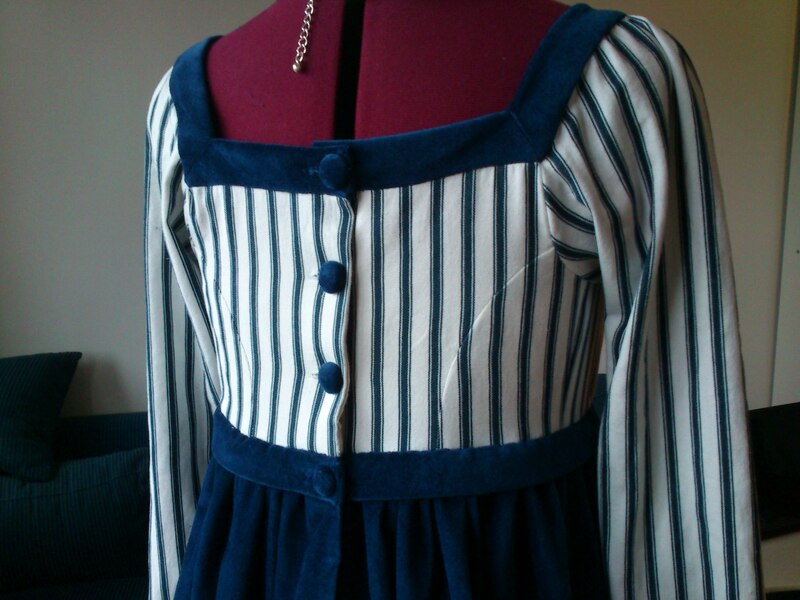 I also took a couple of cm out in the front, shortening the velvet ribbon and gathering the front bodice some more. 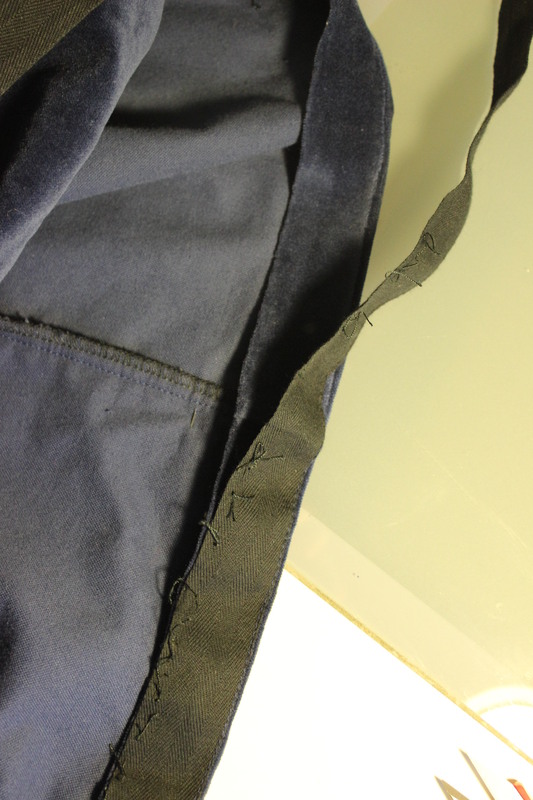 Then I re-attaced the linning and the waistband. So I opened the linning once more and let it out again. 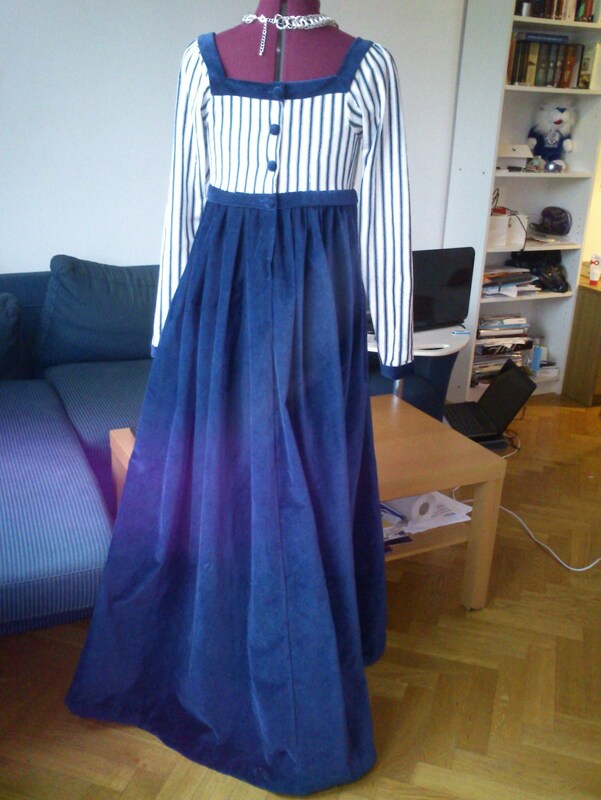 And now it will finaly fit her again. (I’m so taking a break from comissions right now).